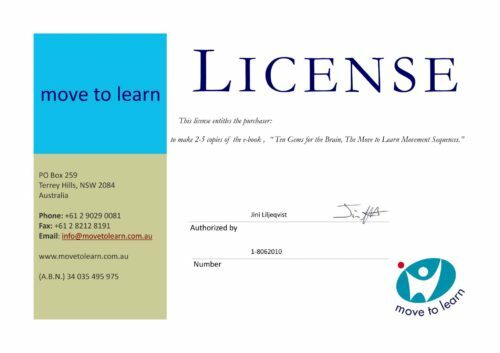 Ten Gems for the Brain – The Move to Learn Movement Sequences (3rd Edition) By Barbara Pheloung Ten Gems for the Brain – The Move to Learn Movement Sequences is a short e-booklet that explains how to do the movement sequences in simple clear language with lots of pictures. 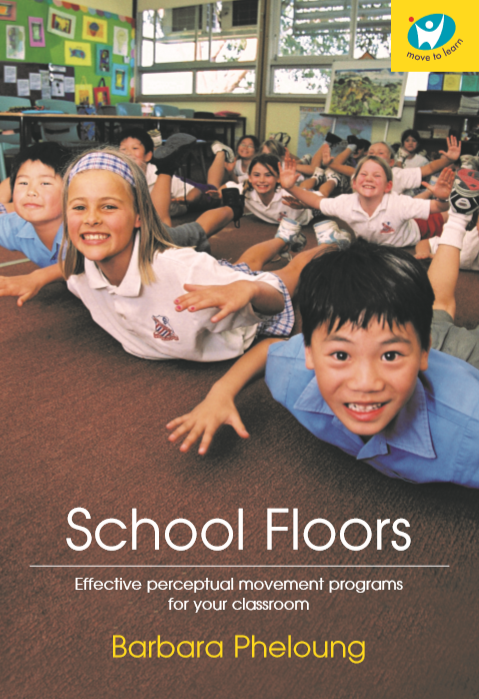 Originally written to replace the DVD visual demonstration of the Move to Learn movement sequences for use in areas where a DVD player was not available, it makes an excellent handout at seminars or for parents or clients! To read a review of ‘School Floors’ in Polish by Agnieszka Olechowska, Akademia Pedagogiki Specjalnej im. Marii Grzegorzewskiej,Warszawa, Poland, please click here. EXCITING NEW research completed by Agnieszka Olechowska Editor: Ewa Maria Kulesza at The Maria Grzegorzewska Academy of Special Education, Warsaw, Poland. Click to read. FOR TEACHERS, THERAPISTS & TRAINERS Like to give your parents or students their own copy of Ten Gems for the Brain for them to use as a prompt for home work? Want to include a copy in your seminar package. A license to print out multiple copies can be purchased which will allow you to print a copy of the booklet for as little as AUD $10.00 For further details, contact us directly. Other discounts are available for those who would like to distribute our products or would like to buy multiple orders for their school or business.